Kura Carpenter is a Writer and Graphic Designer based in Dunedin, New Zealand; she designed the lovely cover for our Spectra anthology. Kura enjoys reading classic fiction, practicing calligraphy and designing fabric. Kura Carpenter’s debut novel, The Kingfisher’s Debt, is scheduled for release on 29th September, published by IFWG press. The Kingfisher’s Debt is New Zealand Urban Fantasy set in contemporary Dunedin. A first person POV mystery, it follows Tamsin Fairchild, a woman with criminal and supernatural connections, as she’s drawn into a police investigation to find a missing baby, and gradually the leads start to uncover secrets within her own family history in particular the disappearance surrounding her elder brother. I – and others – have described your book as “Outrageous Fortunes meets the Dresden Files”. How do you feel about this comparison? Confession time, I’ve have never read the Dresden Files! (I’ve recently a bought one in the DF series, so I’ll be able to amend my ignorance soon.) But in the mean time I can say I have really enjoyed listening to Jim Butcher talk on author panels via YouTube, so personally I’m very happy to be compared to such a great writer. I enjoyed the fact that The Kingfisher’s Debt was set in Dunedin. How important do you feel the setting is to the plot? Setting is very important, particular the coastline and changing of seasons in Dunedin, but also some of the history. I did a lot of research into the gold mining era – none of which ended up in the book,lol, – but it helped me develop a magical culture who were strongly influenced by metal especially, iron and gold. Also, I’ve lived in Dunedin for the past 20 years, so I wanted to incorporate places that I love like the Dunedin Public Library, and Cadbury’s (both places I’ve worked), and the iconic Dunedin Railway station where I volunteer over cruise-ship season, not to mention the character Scott’s house was based on houses I lived in on Pitt Street. And what loyal Dunedinite wouldn’t mention St Clair beach and esplanade? Do you prefer to plot your story out in advance, or would you rather discover as you write? I am a discovery writer, aka, a Pantser 100%. How do you fit your writing in around your career as a graphic designer? Do you have a set routine? I’m pretty good at time management, but I prefer no distractions, (doesn’t everyone?) so I stop taking on graphic design work when I’m writing a first draft. Did you design your own cover? If not, how much input did you have in the process? (BTW, it’s a great cover). Thanks, and Yes, Gerry at IFWG was kind enough to give me 100% control over the cover. Are you a part of a local writers group? 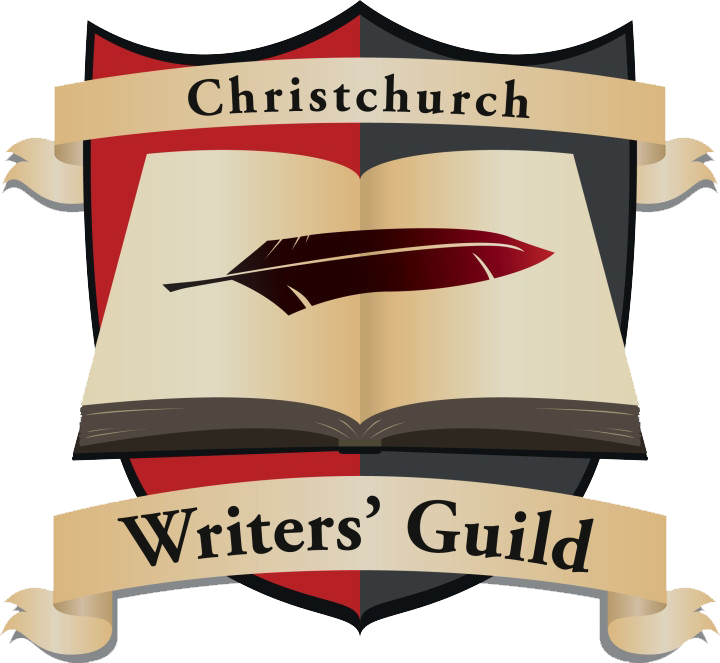 I love my local writers groups, I belong to, or have belong to: RWNZ (Romance Writers of New Zealand), SpecficNZ and the Dunedin Writers’ Workshop. But what was instrumental to improving my writing was joining critiquing groups. I’ve been fortunate enough to belong to a couple and they helped immensely. I recommend becoming part of one or forming your own. I found meeting in person the most helpful. Your book is being published by IFWG Publishing Australia. Can you share with us a little about your publishing journey and how you found them – Or did they find you? I was fortunate enough to find them. I had originally secured a really cool wee New Zealand publisher, who were publishing some top-quality authors like Paul Mannering and Debbie Cowens, but for whatever reason that publisher didn’t survive, and I didn’t know what to do next. As I had done a cover for Gerry a few years earlier I asked him for some advice. Gerry gave me some great advice, and also asked to see a copy of the book. As I knew IFWG was closed to submissions, I figured he was just being polite or curious and I was really shocked when he said he’d sent it to his US and UK editors and they’d both loved it and offered me a contract. (Paul Mannering has now also joined IFWG which says volumes to me). Where may our readers purchase a copy of The Kingfisher’s Debt? Currently the ebook is on pre-order for Amazon. Or if you go to GoodReads once it’s out on 29 September you can pick the format/bookstore you prefer. And finally, what does the future hold for Tamsin? Will we see her in further books? That’s a good question. And I don’t know the answer. Tamsin’s world is much larger than one novel can show, so I might tell another character’s story. I’d like to explore when Jackson and Juliet were teenagers. Or maybe what happened to wicked grandma Josephine… I’m starting to think she’s not dead, just very, very angry. Thank you for your time Kura! This entry was posted in interviews and tagged Our Authors, urban fantasy, writing.